There are over 700 campsites in South Africa – but where should your campsite be, and what type of site should you run? South Africa is renowned for its stunning landscape, its wildlife, and its huge game reserves, so it goes without saying campsites are very popular. Tourism is also a growing business and in 2016 there were 5 million international tourists and 12.7 domestic tourists (a 15% increase on 2015). This equates to 12.9 million nights of paid accommodation. And despite the rise in popularity of self-catering accommodation, campsites are still a vital part of the holiday experience, especially as travelers want to get out into the great outdoors. However the diversity of the South African landscape can make it difficult to choose the right location for a camping business. Additionally, there are numerous different types of campsite and it can be hard to work out what type of campsite will work best for you, and attract guests. Here, we provide you with an overview of the different kind of campsites you could run and the most tourist friendly South African provinces. A camping site is no longer necessarily just a clear area of land where tourists can pitch up their tent. Here's a guide to the different types of camp currently attracting tourists in South Africa. This is your traditional campsite which will attract regular campers and caravan owners; it will have the basic facilities required and often sit within a nature reserve. These are all about their vicinity to tourist attractions and ease of use. This is your large-scale camping site normally for both tents and camper vans. They will have a number of facilities and offer a level of comfort. There may be entertainment on site (a games room, a swimming pool, spa facilities etc.). They are often aimed at families or older travelers. These types of camp often exist far from civilisation. The 'wilderness' camp will just offer a cleared area to pitch a tent. A 'bush' camp may have cold showers and drop toilets. These are for the thrill-seeking and experienced traveler who wants to get out into the unknown. They require basic upkeep but will also give limited financial rewards. Not all travelers will have their own tent and this is where the backpacker camp comes into its own. These camps provide hostel type sleeping in cabins, or pre-assembled tents. These camps will all have their own personality, and their own ideal clientele. The glamping obsession has taken hold in South Africa too. And the types of accommodation available range from elaborate treehouses, to tipis, and to top-range 10-bed tents. These types of camps vary massively and your imagination is the only limit. Decided what type of site you want to run but don't know where to set up? 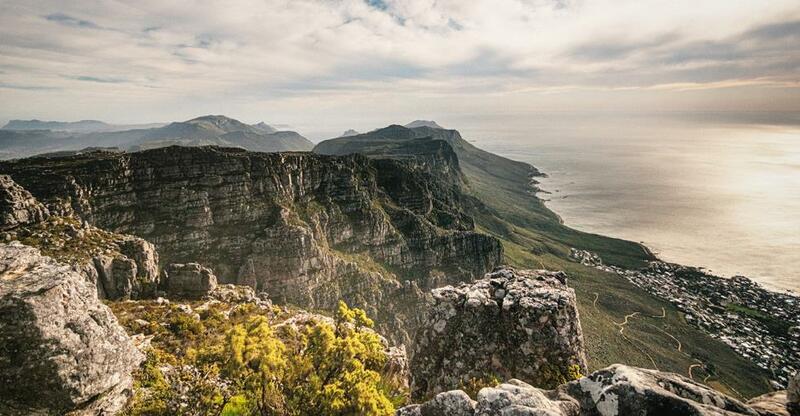 Home to bustling Cape Town, the awe-inspiring Table Mountain, and dramatic Cape of Good Hope, Western Cape is the perfect area for a campsite. It's unparalleled scenic beauty and its vicinity to South Africa's most exciting city make this a hugely popular tourist destination. This area also contains the Karoo National Park, the Sanbona Wildlife Reserve and Western Cape’s idyllic beaches. Eastern Cape’s landscape is exceptionally diverse. The western Karoo area is semi-desert however, the east is considerably greener. This is the perfect area for nature lovers and adventurers. Eastern Cape includes the Wild Coast, the Tiffindell skiing resort, Addo Elephant National Park and Jeffreys Bay (considered one of the best surf destinations in the world). Also, known as the Zulu Kingdom this province sits beside the Indian Ocean and between the Drakensberg and Lebombo Mountains. It is popular because you can scuba dive, deep sea fish, and you can enjoy days of game viewing. This region includes UNESCO World Heritage sites isinglass Wetland Park and Ukhahlamba Drakensberg National Park. It also contains the town of Mpumalanga, made famous in the 1870s gold rush era and The Kruger National Park is one of the most renowned parks in the world. For tourists looking for culture and history they can also visit the archaeological sites of Thulamela and Masorini as well as the bushman rock paintings. The most northerly province of South Africa borders Botswana, Zimbabwe and Mozambique and is named after the river running through it. Limpopo is considered one of the most poverty-stricken provinces and relies heavily on the tourist industry. However, unlike some provinces, it has remained largely unchanged, with ancient forests and a rich cultural heritage. Archaeological discoveries are a huge allure to the area; the Makapansgat Valley contains Stone Age and Iron Age artefacts. Southern Limpopo plays host to part of the Kruger National Park. The capital of the North West region, Mafeking, is of historical interest because the city was sieged during the Second Boer War and it is also home to the Barolong people. Pilanesberg National Park is also a great opportunity to see the ‘Big Five’ amongst the two landscapes within the park: The Lowveld and the Kalahari. Free State's capital, Bloemfontein, is the nation’s judicial capital, and is known as ‘The City of Roses'. Bloemfontein is situated on dry grasslands and has an abundance of cultural and historical attractions. The Northern Cape borders with Namibia and Botswana and is the largest province. It is sparsely populated due to its arid landscape however, running through the province is the Orange River, which flows to the Atlantic Ocean. The mountainous Richtersveld is famed for the wild flowers of Namaqualand and semi-precious stones and Bushman art can also be found in the area. The region is best known for its diamonds. In the South is the vast expanse of the Karoo and the last few nomadic Bushmen live in the Kalahari area. After deciding where your camp will be, and what type of camping business you want to run, you should also consider a few key practicalities. Consider that winter (May to August) is more popular for bush camping while costal sites will be busier in the summer (November to February) - can your business generate revenue all year around? Also, guests will want a place to bathe nearby, whether that's a natural pool, or a swimming pool, and good shade is hugely important. You must also consider the legal requirements, and basic expectations, of a South African campsite and you can find a good overview on the South African Tourism Grading Council website. Rose Hill is an in-house journalist and writes for all titles in the Dynamis stable including BusinessesForSale.com, FranchiseSales.com and PropertySales.com as well as other industry publications.